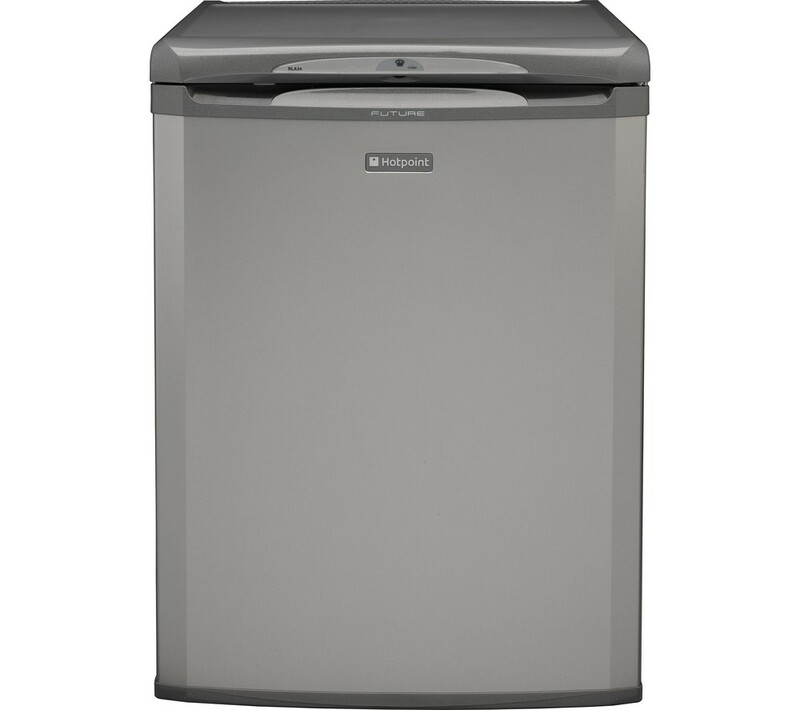 The Hotpoint RLA36G Fridge, in graphite, has an impressive capacity of 146 litres to store all your goods in. With an A+ energy rating it is very economical to run, saving you money on your energy bills. It includes 3 safety glass shelves and a large salad crisper to house the weekly shopping. The safety glass shelves are tough and long lasting, so you can store heavier items like glass bottles and casserole dishes without worrying about damaging the appliance. In addition, the full width salad crisper keeps all your fruits and vegetables crisp for longer, minimising waste. 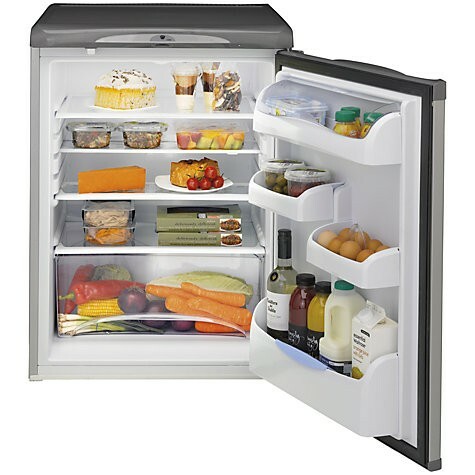 The compact design allows this fridge to fit into relatively tight spaces, which is perfect if you have a smaller kitchen. Anti-bacterial liners also protect against any lurking bacteria, for your peace of mind. The door can also be reversed to match the layout of your kitchen, providing handy adaptability to make your life easier.